Many people that lose teeth have trouble speaking in a normal manner. You’ve likely grown accustomed to the way your tongue hits your teeth while you speak. It’s understandable to find it difficult to pronounce certain parts of speech with missing teeth. Implants fill in spaces where teeth are missing without the need for dentures or bridges. If you’re missing a single tooth or teeth in separate areas of the mouth, implants are highly utilized dental care options. Receiving dental implants allows many people to experience the ability to speak clearer than normal. It’s important to find dental care options that are more permanent solutions than quick fixes. Dental implants are designed to be a long term solution for patients. It is suggested that dental implants have a success rate of about 98%. You won’t need to worry about constantly having to have dental implants adjusted. It’s important to always follow proper dental habits, especially after receiving dental implants. Dental implants need to be brushed and flossed daily. Your dentist will be able to provide with any additional instructions for proper dental implant care. Statistics show that 32% of those surveyed were concerned about the appearance of their teeth. It’s understandable that you want to ensure you make a great first impression. Many people who are suffering from tooth problems hide their smiles, especially when photos are being snapped. Receiving dental implants helps to ensure patients are able to smile without fear or lack of confidence. One of the most favored traits someone looks for in another person is how their smiles appear. Many people who receive dental implants are much more likely to show off their smiles. 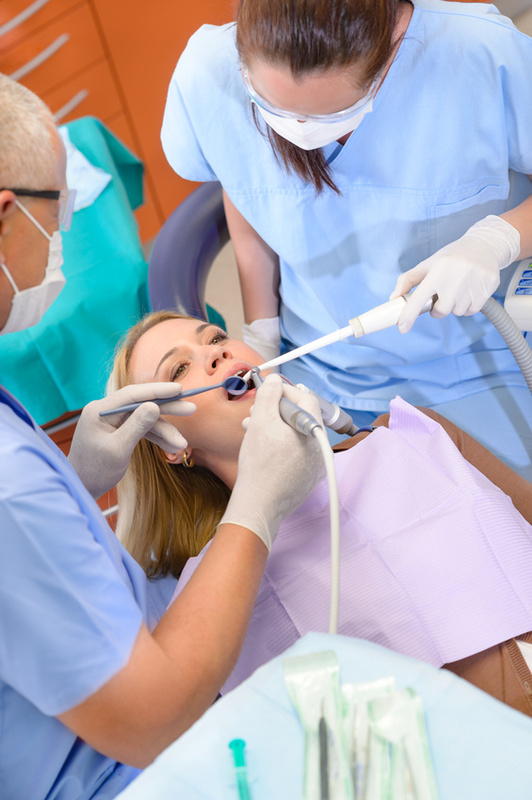 Certain dental procedures limit what patients are allowed to eat. No one wants to hear that they are unable to eat certain foods for the foreseeable future. You’ll find that dental implants are made to form around bone which makes the attachment extremely secure. Having a secure dental implant helps to ensure you don’t feel fear while consuming food. Many people who have received dental implants are surprised at how quickly they’re able to resume normal eating habits. Having dental implants isn’t an excuse to start eating more sugary foods. You’ll still want to try and avoid sugary foods to keep your teeth as clean as possible. In closing, there are several benefits of receiving dental implants. Many people who have experienced losing their teeth have difficulties speaking properly. Dental implants can help to ensure any speech problems caused by missing teeth are resolved. It’s understandable to seek dental care options that don’t require a lot of follow up appointments to adjust. Dental implants are designed to adhere to bones within the mouth, creating a strong and secure bond. Many people seek dental care options to increase their sense of confidence. Implants work to fill in spaces and correct damaged teeth, creating a perfect smile. The strength of dental implants helps to ensure you never have to limit your food choices. Many people in need of dental care options prefer the durability of implants over other options.